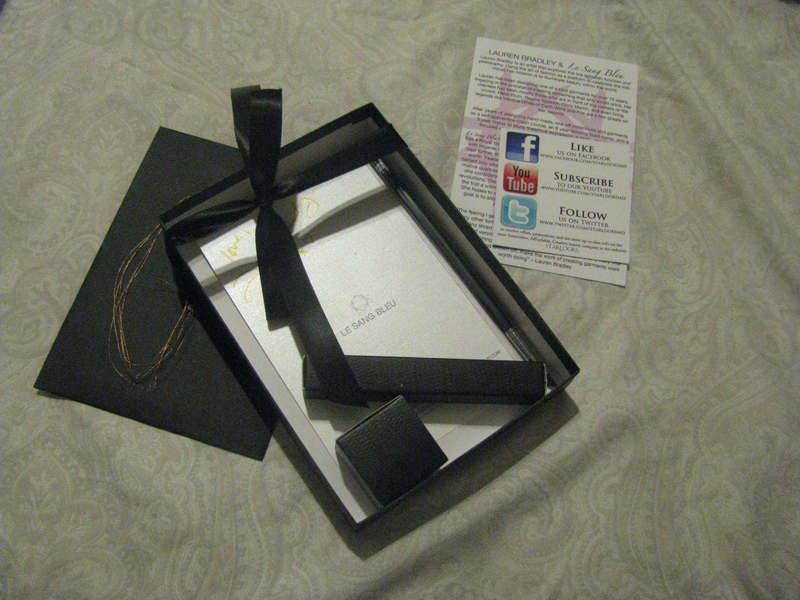 I had the great pleasure of receiving a Starlooks Special Edition Starbox this week. It came beautifully packaged, with a signed and sealed note, and three amazing full-size beauty products from the Lauren Bradley Le Sang Bleu Collection. I love the colors and the luxury of the box and its’ design. 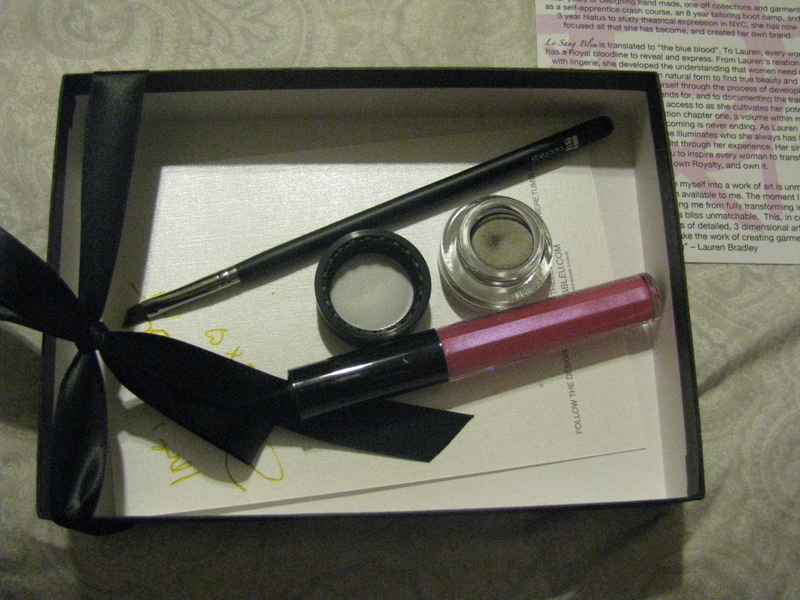 I received a creme brilliance lip gloss in Pink Petal Rose, Sculpture infinity liner and a slanted eyeliner brush. All are so splendid in design and packaging that I loathe to use them. Starbox is a subcription service that features makeup products handpicked by Fashion Designers. This particular set features designs by Lauren Bradley. Lauren Bradley has designed for celebrities like Heidi Klum, Kesha, Regina Spektor, Earth Wind and Fire and more. “After years of designing hand made, one off collections and garments as a self-apprentice crash course, an 8 year tailoring boot camp, and a 3 year hiatus to study thatrical expression in NYC, she has now focused all that she has become, and created her own brand. This product line is delightful, and I can’t wait to see what Starbox has in store for me next month. I love being on top of the latest trends in styles, colors, and designers. I am rarely able to boast that, but with this I don’t have to do the research. It is also a great way to keep my look fresh, and my make-up up to date, and new. Tomorrow I will share my new look at church, and if I’m feeling confident take pictures for all of you to see. Check out Starlooks, and watch for a giveaway of this fabulous product in the near future.